Slightly more colour accurate photo, my camera is struggling with the purple and I'm still learning how to adjust for it. The pattern is Express Lane socks, simple to knit without the pattern if you can read your knitting and it's a free pattern. 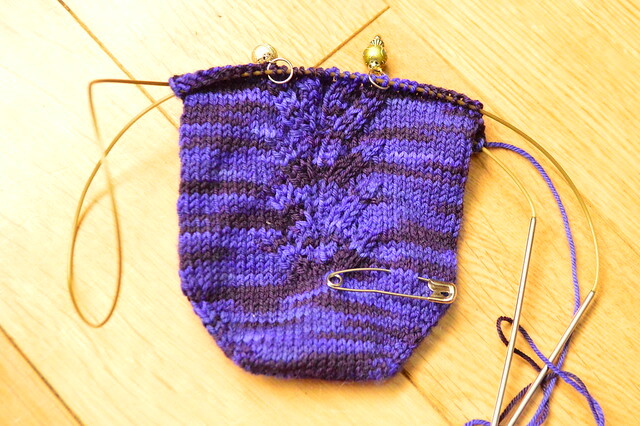 I don't think there's going to be much knitting time this week and yet it's making me want to cast on new projects. Why is that lol? 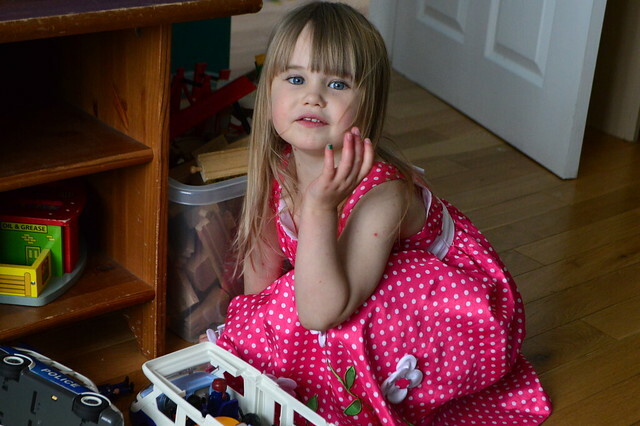 poor kid, we had the pox just after christmas. so much itching! the socks all look so lovely! She had a couple of uncomfortable nights but seems to be feeling better now the spots are scabbing over. I love the rainbow socks. Hope she is better soon. Love all the socks, especially the rainbow ones. 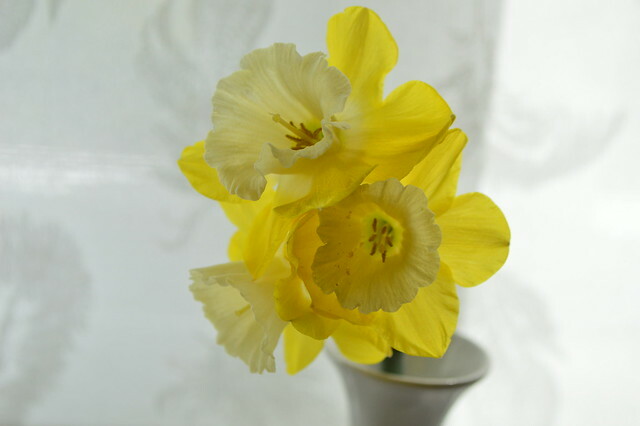 Hope your daughter feels better soon. So many great striped socks. I love the way your stripes match up. Poor spotted girl! But better to get the chicken pox now than later. 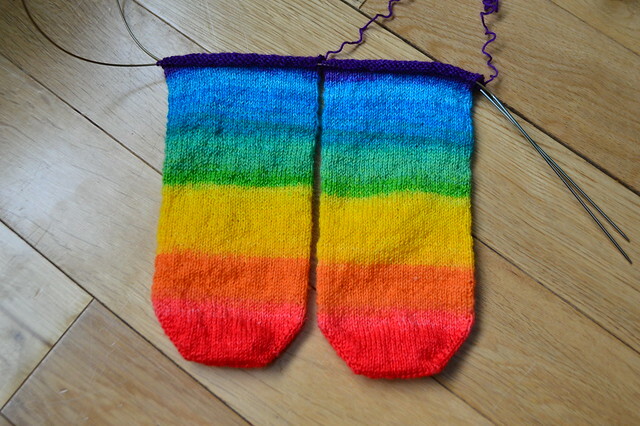 The rainbow socks are knitted from a sock blank where two strands were knitted together so they're a perfect match. Having said that I knitted the heels separately and they've got slightly out of sync. Agreed, one of my relatives had it as an adult, was not a fun experience! Did she still get the chicken pox even though she had the vaccine? I hope she's not too itchy. I remember my dad took care of me one day. This little boy had gotten it and infected the rest of us in either kindergarten or first grade. I cried and told my dad I felt like popcorn. Lots of happy sock knitting here. The rainbow socks pulled me in...my you have lovely (WIP) yarn collection. I hope the little one gets better soon. Oh my! Those rainbow socks are just stunning. 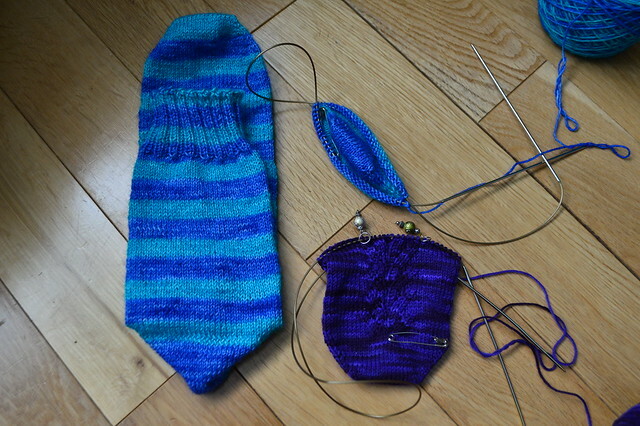 I've also got some socks on the needles at the moment, they kind of have me hooked :) Where did you get that rainbow yarn? I love the rainbow socks! so colorful!